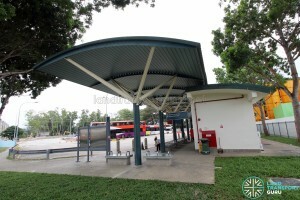 Upper East Coast Bus Terminal is a neighbourhood bus terminus located in Upper East Coast, next to Bedok Camp II and opposite the Kew residential estate. 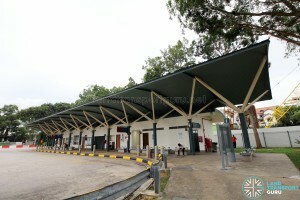 Located off Upper East Coast Road, the terminal serves as a terminating point for bus routes serving the Upper East Coast area. 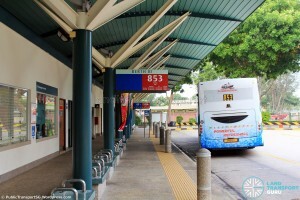 Upper East Coast Bus Terminal is a bus terminal located at Upper East Coast. 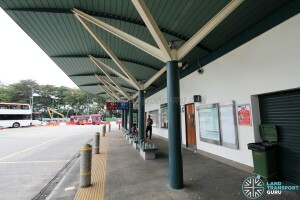 Located next to Bedok Camp II and opposite the Kew residential estate, the terminal serves as a terminating point for bus routes serving the Upper East Coast area. 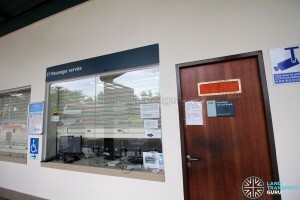 It does not offer any rail connections. 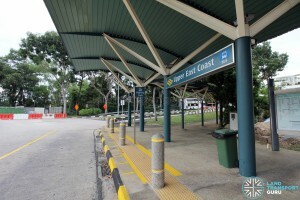 Opened in December 2001, the terminal has a single vehicular concourse area, with a combined entrance and exit leading to Upper East Coast Road. The terminal building combines passenger alighting berths and waiting areas with an interchange office, driver’s lounge and toilets. 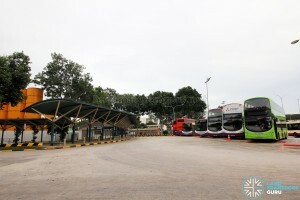 A bus park in the middle of the terminal allows for the layover of buses, and an expansion to the original bus park was completed in January 2017. 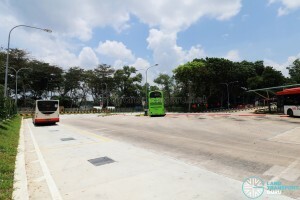 The roots of the terminal can be traced to the former Marine Parade Bus Terminal along Siglap Road / Siglap Link, the present-day site of Victoria School. When it closed on 16 September 2001, most services were amended to loop around the former site of the terminal. 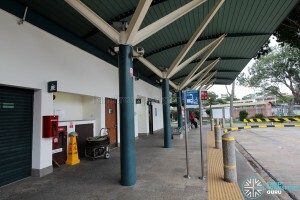 As a result, Upper East Coast Terminal was built to accommodate some of the affected bus services while enhancing bus connectivity to the Upper East Coast region. 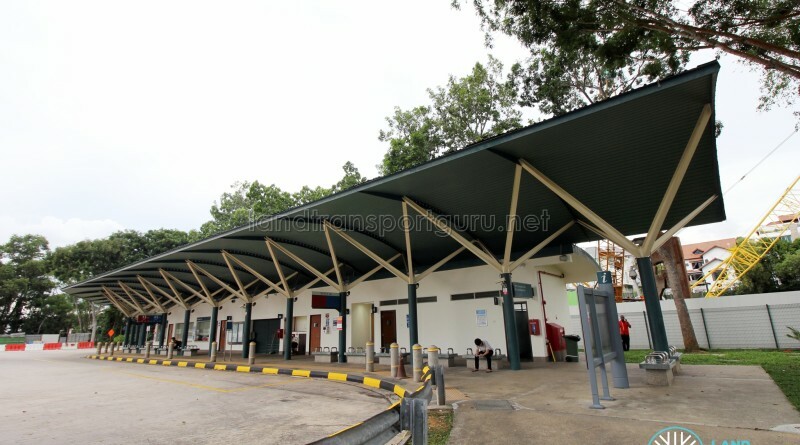 Upper East Coast Bus Terminal first opened on 9 December 2001, absorbing Service 13 and 853# from the former Marine Parade Bus Terminal, white the remaining five services (16, 55, 76, 135, 155) continued to loop at Siglap Link. 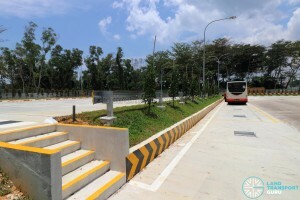 Commuter facilities at the terminal were constructed later and opened on 4 August 2002 for the benefit of local residents and Bedok Camp personnel. Originally built with metal queuing berths similar to those used at bus interchanges, they were troublesome to cut through, occupied a lot of space and unnecessary for a terminal with low human traffic. The metal queuing berths have since been removed and replaced with concrete benches. 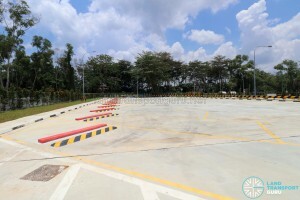 Bollards have also been installed at the kerb edge. 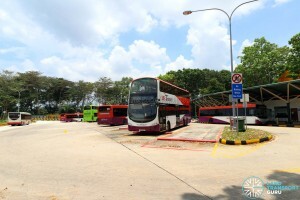 In 2005, Service 43 and 48 were introduced, and in 2006, Service 45 was introduced, and Service 506 was extended here from Bedok Interchange. In 2011, Service 48 was extended to Bedok North Depot and no longer calls at this terminal. 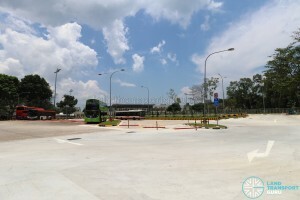 Upper East Coast Terminal has a SBS Transit office, drivers’ lounge, public toilets and a NTWU Canteen which was opened in October 2018. 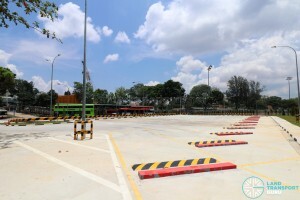 In 2016, work was carried out to expand the existing Upper East Coast Terminal, adding 15 parking spaces for a current total of 27 parking lots. This was achieved through an expansion in space of 60% from the current 0.6ha. 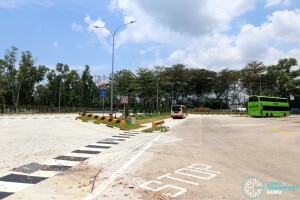 LTA Contract RD305 (titled Expansion of Bus Interchanges) was awarded to BSI (1990) Pte. 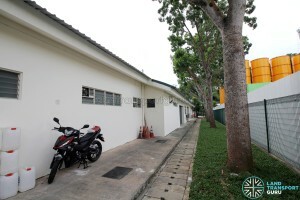 Ltd. for S$12.47 million also included the expansion of Hougang Central Bus Interchange and Punggol Bus Interchange. The expanded terminal will allow for about 4 to 5 new bus services under BSEP. 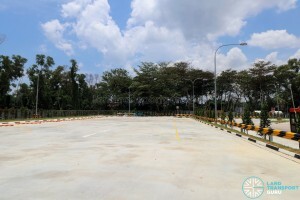 The expansion consists of a new parking area in the south, and an expansion to the original bus park with three additional lots to the west. Work was completed in 2017. 2-3 new service is enough leh..Layer back to square one again..